A few weeks ago a saxophonist named Thomas Garcia moved into the house across the street from me. Tom is an accomplished machinist as well as being a talented saxophonist. His hobby is making unique modifications to his horns. One of his modifications is something that I actually had considered years ago, but never had the skills to try. Think about the fact that any changes made to a saxophone are going to have a more drastic effect the further up the horn they are. For example, changing out your bell will not nearly be as significant as switching necks or mouthpieces. Even tiny changes made to the inside of a mouthpiece can change the entire feel and timbre of the horn. I always wondered why the transition from the mouthpiece to the neck had to be so abrupt. The airflow going through the chamber of the mouthpiece hits a significant edge as it moves into the neck. This edge is the thickness of the walls of the neck plus the neck cork. It would seem to make more sense in terms of air flow if the inside wall of the neck angled in to meet the chamber of the mouthpiece chamber. This would create much less turbulence at a crucial part of the horn, but it would also present some practical problems for horn manufacturers. The first problem is that because the end of the neck would come to a sharp edge instead of a flat edge surface the neck would be too delicate. The sharp edge would be prone to being bent out of shape and if it were dropped on the end it would be over. The second problem would be the getting the mouthpiece to fit perfectly if the edge of the neck came to a sharp point. 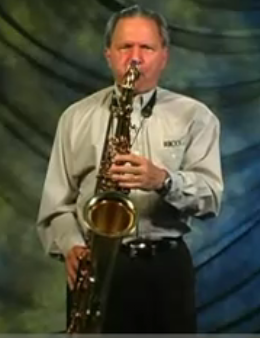 Tom's solution to the mouthpiece/neck turbulence problem is to machine kind of a spigot like ring that fits perfectly on the end of saxophone neck. This little ring is perfectly fit to the dimensions of your neck and the dimensions of the chamber of your mouthpiece. You just push the ring onto the end of your neck and it fits snugly, not changing the neck permanently in any way. If you decide that you want to keep the thing on then you would put about two or three tiny drops of super glue on the end of the neck to attach it semi-permanently. If you wanted to remove it at some point then all you would need to do is give the ring a couple of light whacks and it would right pop off. There are a few people out there selling similar products, but none of these other neck modifiers are custom fit for your particular horn and mouthpiece combination. Tom said that his attachment increased response and volume to a degree that you actually needed to move up a half size in reed strength. Tom made me a neck attachment for my alto after measuring the exact dimensions of my neck and Slant Link mouthpiece. It was made of brass and fit perfectly on the end of my neck and into my mouthpiece. This made the neck stick into the mouthpiece a little bit more, which of course made the chamber a little smaller. I wasn't sure what to expect when I first tried it on my horn. It changed the timbre and the response drastically. It sounded like I had just put a baffle in my mouthpiece. The higher partials were brought out, making the tone brighter. There was also significantly less back pressure and the horn was definitely louder. Although the greater response and increased volume was interesting, but I wasn't happy about the extra brightness. Tom went back to the shop for the to craft the Mark II, which was going to have a steeper angle. This one was shorter and the transition from the mouthpiece to the neck was closer to a 45 degree angle. The Mark II it made a less noticeable change in the sound than the Mark I did. I still felt a little more punch and volume, but it did still bring out the highs a little more than I wanted. After playing it for a while a finally decided that I liked my tone better without any neck modification. I would see how some other players would find Tom's neck ring very desirable. 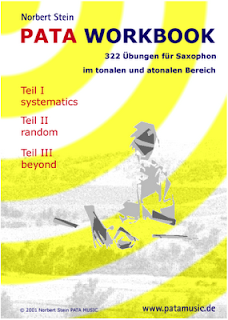 A saxophonist who is looking to increase their volume and projection in order to be heard over a loud amplified band for example. Instead of switching from a hard rubber to a metal mouthpiece with a baffle, the player could just pop the neck ring on. They wouldn't need to deal with switching back and forth from rubber to metal every time they played with a different band. They could just use the same piece that they're used to and pop the ring on an off. Saxophonists who play darker horns might also use the neck ring to get a little more zip without making mouthpiece changes. Players who are working hard to play a mouthpiece that is a bit too open would also find the neck ring helpful because it makes reeds feel softer and decreases resistance. Tom brought over his Martin baritone my house because he wanted a second opinion about how his neck ring sounded. I listened to him play with and without the neck ring and to my ears he sounded much better with the attachment. It made his bari sound more present, clearer, punchier, louder and I didn't mind the added edge at all. There was no question in my mind that the neck ring made a huge improvement. I feel that my sound concept on alto is pretty much at the darker extreme compared to most players. This makes me shy away from any changes that make my sound brighter. I realize that most players aren't going for the same sound that I am, so I'm sure there are a lot of guys that would absolutely love Tom's neck ring. I could also see how tenor or bari players night find it more desirable than alto players. As far as I know, the other manufactures that are making neck modifiers that use the same concept don't fit the piece to a specific neck and mouthpiece. Because of this I don't see how they could possibly be as effective as Tom's custom made neck rings. Tom is a trained machinist and his work is very exact. In order to make a custom neck ring he needs to measure the neck and mouthpiece himself. He won't trust a layman with a caliper to make the correct measurements. This means that if you're interested in having Tom make you a neck ring then you need to send him your neck and mouthpiece. You can ship it overnight and insured and he'll ship it back to you the same day. Tom charges $100 for a custom made neck modification. If you don't like it you can return it and get a $50 refund. Tom must keep half to cover his time spent manufacturing the part. Thomas Trulsson has put together a playlist of a bunch of Jerry Bergonzi instructional videos on YouTube. These videos were produced by the Rico Reed company. Over at Larry's Improv Page Tony Miceli has posted recording of Trane practicing Four with a drummer, possibly Elvin, who sounds like he's playing on the bed. This could be a glimpse into Trane's road practice habits. Taran's Free Jazz Hour is a French radio show that also has a killer blog. This site is a goldmine of quality content- interview, videos, music and articles. Be sure to check out the interview with my buddy Bert "Wheels" Wilson. 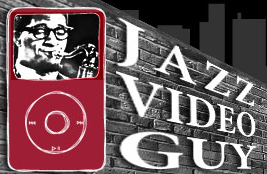 Bret 'the Jazz Video Guy' Primac posted a video on his site that features Gary Bartz talking about his time with Miles. Bret also has a 334 videos on YouTube that are worth checking out. Blog MP3 downloads- almost the entire Stan Getz catalog! There are a lot of blogs that have links to audio files that you can download for free. If you're a digital pirate then you may want to take a look at this one, it's called Music Blog of Saltyka. About half way down the page (after all the bad '80s Boy George album) there are a ton a great Jazz albums for download. 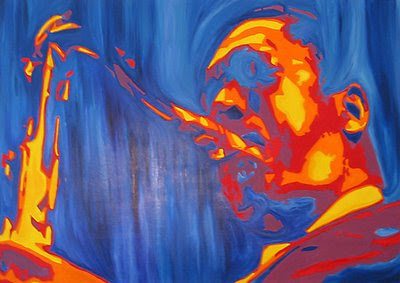 Here's a link to a very useful web page put together by Brad Sharp that allows you to quickly search YouTube for specific Jazz players. The page is a huge list of players arranged by instrument and date of birth. When you click on a name of a musician it searches YouTube for all the videos by that particular player. This is just a handy page to keep bookmarked. 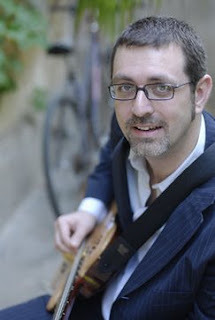 Mario Abbagliati's Jazz guitar blog has some nice transcriptions and harmony articles. Mario is from Chile and his blog is in Spanish, but Yahoo's Googlefish translator page is always an option (and often very funny). Dan Johnson was the first reader to answer my plea for submissions. 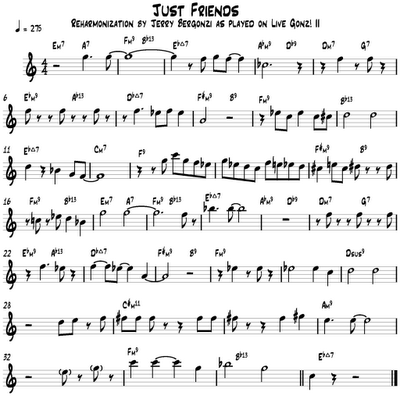 Dan transcribed two killer Bergonzi reharms, on I Remember You and Just Friends. 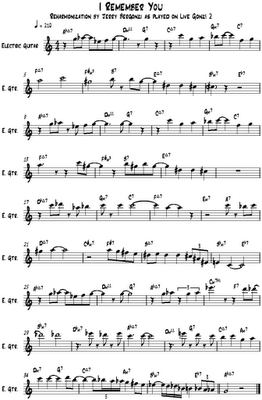 Dan has a nice blog that features a lot more interesting transcriptions by players like Joe Diorio, Tal Farlow, Grant Green, and Jimmy Raney. If you're a regular reader of Casa Valdez you probably noticed that that I've been slacking off recently. The reason for this (besides being generally lazy) is that my buddy Pere Soto has been staying with me and we've been trying to rehearse, play more, plan a recording session, and hustle European gigs for the summer. All this leaves me little time to write this blog. If anyone has anything interesting they've written that they think would be a good fit for this blog please send them this way. I would like to keep the flow of articles, transcriptions, and etudes happening on this site. I'll be happy to include links to your web site, MySpace page or email along with your posted item. I won't guarantee that everything you send will get posted, but please consider sharing your work with other players that read this blog. Casa Valdez gets about 2100 hits every week from all over the world.